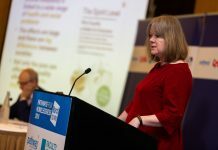 The big winners on the day included Diversity and Ability Ltd, Open for Business, Bristol Manifesto for Race Equality – Strategic Leaders Group, the National Centre for Social Research (NatCen) and the Home Office. 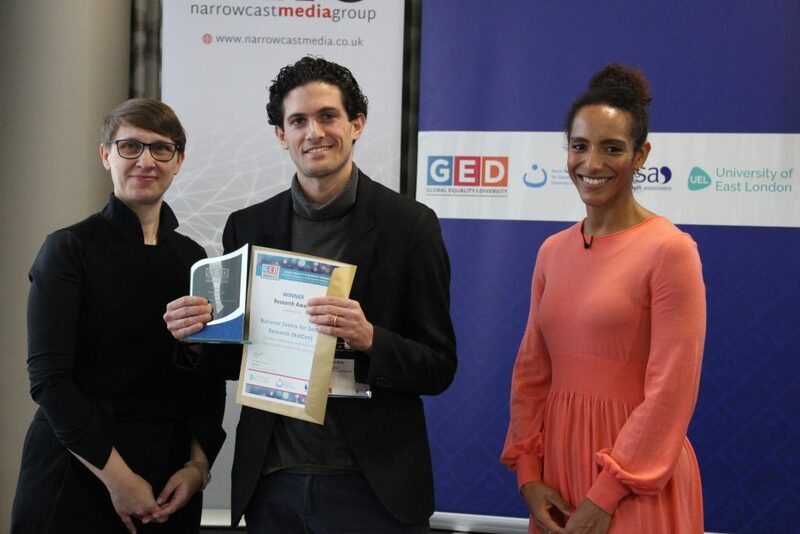 The awards were presented by conference chair the writer, broadcaster and barrister, Afua Hirsch and Dr Jana Javornik, Associate Professor in Work and Employment Relations, Leeds University Business School who has played a key role in the development of GED over the years. We’d like to thank Holman Fenwick Willan LLP for their support of GED and, in particular, their kind sponsorship of the Noon Award, which this year was once again presented by David Robinson, Partner at HFW. 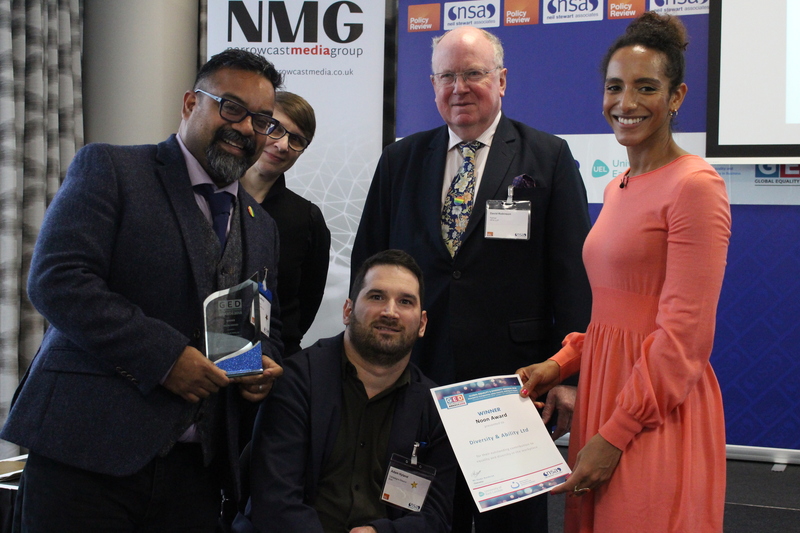 Chief Executive Atif Choudhury and Adam Hyland, Director of Campaigns at Diversity and Ability Ltd receive the 2018 Noon Award. 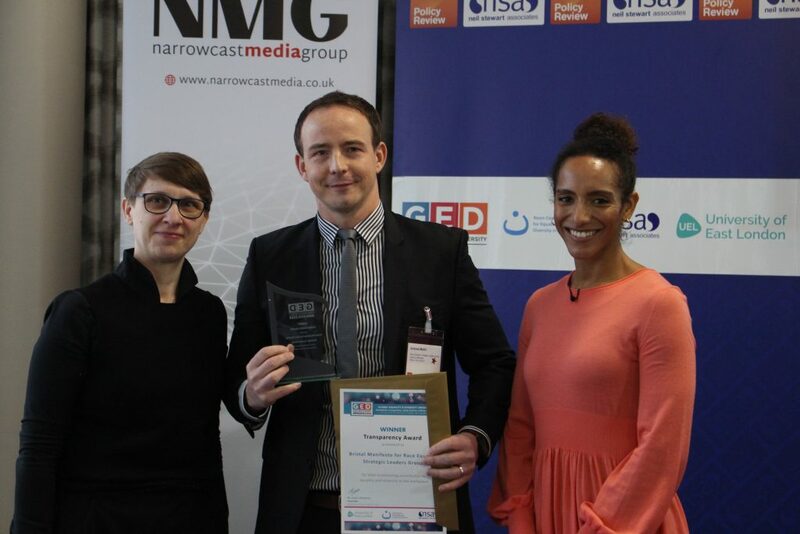 Diversity and Ability Ltd won this year’s Noon Award for their work on Digital Inclusion & Tailored Support for Homeless Individuals. Green Park were Highly Commended for their outstanding contribution to increasing Boardroom Diversity. 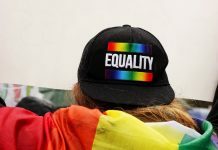 Open For Business is a coalition of global companies taking action to promote equality for LGBT+ people, they won this year’s Chancellor’s Award for their project Business action for LGBT + inclusive societies. Health Education England – North East meanwhile were Highly Commended for their work on Enhanced Equality and Diversity Training. Andrew Mallin, Race Equality Strategic Leaders Group Delivery Manager, Bristol City Council receives the 2018 Transparency Award. Bristol City Council won the Transparency Award for the Bristol Manifesto for Race Equality Strategic Leaders Group’s work introducing an outstanding partnership research and data product to highlight race equality performance of all 12 of the public sector partner agencies in Bristol. Doncaster Council were Highly Commended for their success in adopting good practice to help their workforce achieve the best for Doncaster. 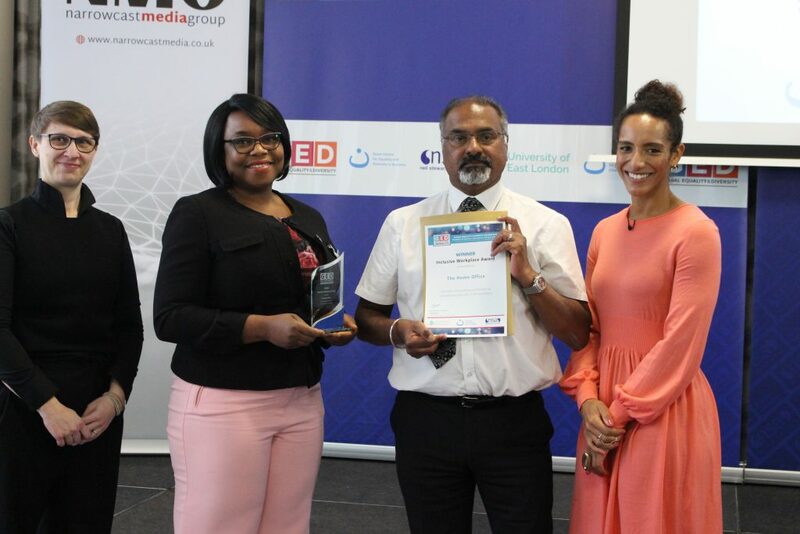 The National Centre for Social Research (NatCen) received the Research Award for Enhancing Diversity in Policing through their research contributing to the National Policing Vision 2025. 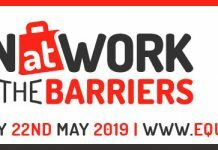 The work has recently been adopted by all 43 Police forces of England, Wales and Northern Ireland and is significant in shaping the future of diversity in policing. 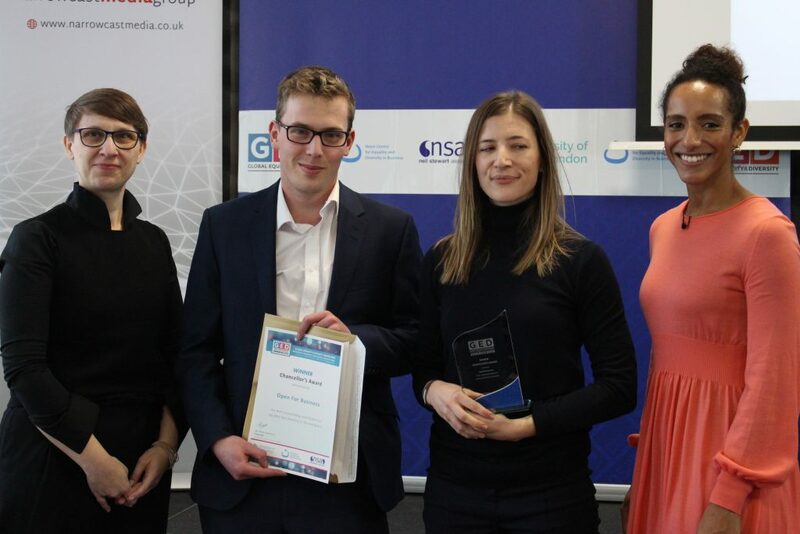 Questback and Conflux were highly commended for their groundbreaking research within financial services organisations to identify the underlying cultural factors behind the gender pay gap. Amauche Anurukem and Balwiant Bill of the Home Office collect the Inclusive Workplace Award. for a joint action between The NETWORK and the Private Offices of both the Home Secretary and Ministers, to increase BAME appointees in Private Offices by almost 50% within 12 months. South Yorkshire Police Force were Highly Commended for their SYP 4D Campaign supporting officers affected by learning difficulties.